Average student loan debt increased to $30,000, reports the US News. The numbers were based on a report provided by the Institute for College Access and Success. 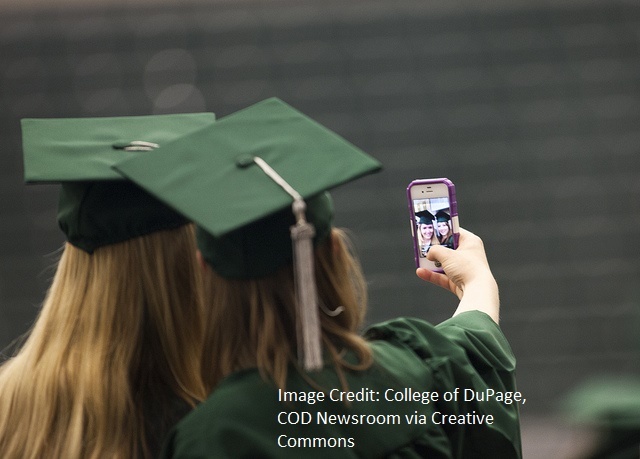 Average debt amounts ranged from $2,500 to $71,0001 The numbers tend to be higher for private colleges and top-ranked institutions with higher tuition costs. In addition to actual student loan debt, college students also accumulate a large amount of debt on credit cards and other loan instruments, including help from family members. Even with a well-paying job, it could take years to repay these loans and become completely debt free. What college students don’t recognize is that a lot of this debt can either be minimized or avoided. Consider this: If the average debt is $30,000, you need to either save an extra $7,500 every year (of a four-year degree program) or earn an extra $7,500 every year in order to come out debt free. That works out to an extra $625 in way of either increased income or lower expenses. Be sure to use that amount to setup a debt repayment account or a savings account. Don’t touch it for any other purpose if you are truly serious about coming out of college debt free. It might sound like a sacrifice now, but you will thank yourself later. Another alternative would be to secure financial aid, scholarships, grants, tuition waivers, or other arrangements that would allow you to study without paying a single dime — yes, there are plenty of programs that allow you to do that. Not sure if you can save that much as a college student? Read our entire post How to Save Money in College: Students can Achieve Financial Freedom by Saving Money in College and you will come away with some creative ways to save money in college. A complete money management guide is beyond the scope of this article, but we will provide some basic ideas to help you manage the money you will be saving by following our tips. 1. Earn as much interest as possible. Setup savings accounts, Certificate of Deposits (CDs), and credit union accounts that will offer you some interest on your savings and make it a habit to deposit your monthly savings in these accounts. Do not touch the money until you graduate — and that too to repay your debt. 2. Create an automated savings schedule. Many banks will allow you to automatically deposit a pre-determined amount in your savings account. As soon as you receive your pay check, the pre-designated sum will be transferred to your interest-bearing account. This will keep you on track and prevent any lapses. 3. Steer clear from the debt trap. It might be tempting to use your credit limit to buy those fancy shoes or that game you just can’t resist, but eventually these small purchases will add their way and put you in “debt prison” for a very long time to come. Sure, you need to build your credit and use that college student credit card once in a while, but be sure to pay it off as soon as you can. This will not only prevent debt accumulation and credit issues, it will also save you a bunch on interest rates and exorbitantly high financial charges levied by credit card companies. 4. Use credit cards that offer incentives. There are plenty of rewards credit cards that offer either cashback or points or incentives in some shape or form. Use these cards for larger purchases. Be sure to track your points or rewards balance as they do have an expiration date. As pointed earlier, steer clear from debt but if you do have a little debt, transfer the balance to either a 0% APR or low APR credit cards and reap the rewards of a lower interest rate for the initial balance transfer. Again, be very careful because once the “honeymoon phase” is over, your interest rate will jump to a very high amount. Don’t be tempted to sign-up for additional cards just to keep transferring balances. Ultimately, you will end up in debt prison. You can research and compare credit cards here. 5. Use a debit card. Despite the lure of rewards points and other incentives, credit cards do have a tendency to be mis-managed. It is much easier to keep your finances in track by using a debit card. It works just like a credit card, but restricts your purchases to the amount you have in the bank. 6. Setup automatic payments. Utilities, phone bills, and other recurring expenses — all of them need to paid every month. If you skip even one payment deadline, the fees, interest expense, and penalties could have a huge impact on your finances. Free automatic bill payment services are provided by most banks and credit card companies and it takes just a minute to sign-up. 7. Learn to differentiate between needs and wants. Needs are something we can’t do without (such as food, water, shelter, clothes, and the like) whereas wants are items that we desire. The needs have to be taken care of first while the wants can wait a little. When you learn to differentiate between the two, you will make wiser spending decisions and save a lot of money every month. 8. Create a simple budget and stick to it. Account for the inflow of money (such as money from allowances, waiting tables, working at the library, etc.) and outflow of money. Make sure the outflow is lesser than the inflow. Go through your spending patterns with a toothcomb and throw out as many expenses as possible. Anything unnecessary could wait until you are out of college. Create a budget and try to find creative ways to outperform your budget goals. When you achieve a victory and beat your budget, reward yourself with a small incentive, such as a movie ticket or game ticket. If you don’t meet your budget, don’t hesitate to create a small dis-incentive, such as cutting away on cell phone minutes or “cook at home nights” for the next seven days. 9. Maintain a log. If you don’t maintain receipts, spending logs, and other information that will help you track your income and expenses, you are never going to make progress on the money saving front. Don’t be misguided to keep everything in your head. There is enough text book material to store there. Let the log do its job. 10. Document everything. Have a shoebox to store all receipts, pay stubs, logs, spending spreadsheets, and other documents. They might help you at tax time and if you end up starting a small business (we’ll get to that a little later in our post “How to Save Money in College”), you can use the documents to claim expenses as well. 11. Room and board. Living in a dorm is one option to save money as a college student, or you could consider sharing a small studio apartment with a friend. Both parties will save on living expenses — almost half. You can also look for jobs in the college dorm itself. Some college dorms will waive your living costs and save you thousands every year in exchange for some dorm maintenance duties. In recent years, a lot of college students are opting to stay with parents or family members to cut on living expenses. Some students have managed to live in a car or van and save money that way, but we don’t recommend that. College education could be an intense endeavor and it is important that you to stay healthy in order to focus on your studies. 12. How can college students save money on food expenses. Eating healthy is important during every stage in life, but even more so during college. Unhealthy eating could not only harm your health, it may even impact your grades and overall performance in college. There are several ways to save on food expenses. First, create a healthy and balanced meal plan and follow it to the T. If you need help choosing the right foods, please visit ChooseMyPlate.gov for free tips and nutritional advice. Cooking on your own is best. Once in a while, you can take advantage of free meal opportunities offered through food tasting events, on campus food fests, and the like. If there is a restaurant you particularly like, speak to the owner to offer some service such as maintaining their website/Facebook Page, or performing some small administrative tasks in exchange for free meals. Waiting at the restaurant is another option to get free meals. If your parent or family member is a member at one of the large wholesale outlets, ask them to buy an extra membership card for you. You can buy your food supplies from there and also take advantage of free samples that are handed out on a regular basis. Other options to save on food could include places of worship, food banks, soup kitchens, and non-profit initiatives that cater to low income individuals. Junk food, sodas, chips, and other food items that are absolutely discretionary could cost you your health and wealth. Avoid them. 13. Collect coupons. There are plenty of coupons on campus, but you could also speak with neighbors, friends and relatives, and others who regularly throw away coupons they don’t need. If you can save even $50 by collecting coupons, you are adding an extra $600 to your piggy bank account. 14. Cut travel costs. The easiest way to slash your travel expenses is by living close to campus. You eliminate the need to travel, save time, and eliminate the need to own a car (that just gets rid of gas, insurance, maintenance, car payments, and a host of other expenses). Public transportation is also an effective way to get from A-B. Many cities have special plans for students. And why not bike to school? It is good for health, environmentally-friend, and, hey, very cool! 15. Entertainment expenses. Many young adults express regret for having splurged on entertainment expenses. Sure, you need some way to entertain yourself, vent the stress associated with college life, and, of course, have fun. For starters, there are plenty of entertainment opportunities on campus itself. Movie nights, dance galas, sporting events — there are plenty of ways to take advantage of the best of college life. Besides entertainment opportunities, college campus have many programs that will challenge, involve, and motivate you to progress in life. If you are busy, entertainment expenses will automatically go down. No need to cut down on healthy fun. Just make sure you know what you are doing. Avoid bad choices and, especially, intoxicants. 16. Choose your friends wisely. What do friends have to do with saving money? This may sound like an old grandma’s advice, but your friends will determine how your life will turn out. If you opt to hang out with big spenders, you will not only do poorly in school but will also come out with a huge debt burden. 17. Brand names versus generic. Expensive clothes and the latest accessories might impress some friends, but they will also drain your wallet. If you look at many expensive brands, they are often manufactured overseas. Should you bear the responsibility for a brand’s marketing expenses and image building exercises? You decide. 18. Save on utilities, phone, and Internet. When you choosing your living area, make sure there is plenty of natural sunlight in your room. This way, you can cut on electricity costs during the day time. There are plenty of small solar-powered appliance for less than twenty bucks. These could save you on utilities, especially electricity. Own a cell phone? Consider purchasing one of the prepaid plans. There are plenty of cell phone plans that offer you unlimited minutes, data, and text features for under twenty bucks. If a parent, sibling, or family member is subscribing to a new cell phone plan, they will receive a free or low-cost phone. Perhaps, their earlier phone could be passed on to you. Hey, it stays within the family! Another option would be to add your name to a family plan and pool cell phone usage. Everyone saves this way. Depending on what’s available you may be able to do away with Internet subscription altogether. Your college campus or a local public library might offer Wi-Fi. There are plenty of cafes and fast food joints offering the same as well. Why pay for a land line. A low cost cell phone plan is all you would probably need. (d) If you own a book and don’t need it anymore, sell it away. 20. Print on campus. Saves you a bunch on paper, toner, and other expenses. 21. Avail of student discounts. From newspapers to shopping outlets, students have an edge when it comes to saving money. Make best use of all student discounts available to you. 22. Find ways to save on classes. Ask your financial aid office if there are any tuition waivers available. Never compromise on education, simply find a more efficient way to do things. Consider this example: You can get certain classes waived if you pass certain exams. Often, the exams cost much less than a full semester of class. Ask your dean to advise you on these matters. They understand. Remember, they were students too. 23. Learn comparison shopping. Shopping around pays. From student loans to everyday expenses, a little extra effort will save you a lot of money in the long run. 24. Use the campus gym. You don’t have to pay for it. 25. Take advantage of programs. Regularly fill out applications doled out by FAFSA, private foundations, grant-giving intuitions and the like. Some will require annual applications but they will save you a lot of money. 25. Work with a professor. Many professors receive grants for their research and academic pursuits. In exchange for part time work, you may be able to make extra money and also earn scholarships and the like. Not to mention, networking opportunities and the potential to advance in your field of interest. 26. Use the 99 cents stores for basic needs (not food, though). 27. Setup a registry. Parents and family members often wish to provide you with gifts. Ask them to buy you a wish list item from your registry instead. Text books, food items, toiletries — anything you need. Cash is a very welcome option as well. 28. Take up a job that will allow you to study and work at the same time. Remember, your primary goal is to study so be careful in that department. On campus jobs, internships, work-study opportunities – there are so many opportunities for those who seek them. If you are the entrepreneurial type, try your hand at a small-scale business such as fixing computers, baby-sitting, cleaning, tutoring, gardening, or any service you feel capable of providing. If you do things right, you might build some equity in the business before you graduate — not to mention “brag rights” for your resume. If you decide to engage in a business, be sure to seek out professional assistance from a tax expert and an attorney. Small mistakes on the tax or legal front could cost you much more than you earn. If you don’t have the resources to pay for such expert, seek out a local non-profit organization’s help. Family members might be able to introduce you to their friends and associates as well. In addition to traditional jobs, you can also freelance on sites such as Elance to make some extra money and also gain valuable experience. If you write well or an expert in a particular field, consider participating in competitions that offer cash prizes for “best entry”. Most important: Ask for expert advice from family, professionals, and on campus resources. Help is always a phone call away and most individuals love to help students. You should not feel any shame in seeking assistance from all available resources. This entry was posted in Budgeting, Credit Cards, Debt Management, How To, Save Money on April 27, 2015 by dontspendmore.